After the highs and lows of Wales Rally GB came the lows and fewer highs of the Kennards Hire Rally Australia. The Brits didn't fare quite so well this time with the Hyundai squad getting two cars into the top three and Thierry Neuville clinching his fourth victory of the season. One might have thought that heavy rain and muddy conditions would have favoured the Brits, but this rain was warm, a most unsettling experience for those raised on the British and Irish variety. Andreas Mikkelsen initially led the charge winning five of the six dry and dusty opening tests on Friday ahead of Neuville and Meeke, but a double puncture on Day 2 after hitting a bank with his Hyundai scuppered Mikkelsen's chances. 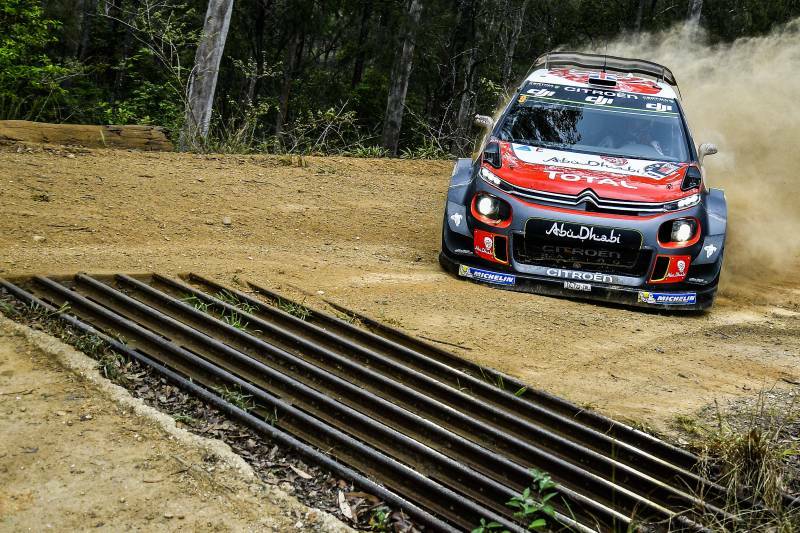 Day 2 accounted for Meeke's podium hopes too: "After a fast bend, there was a narrow bridge and we just touched it with the rear wheel. A few kilometres later, I felt that something wasn't right. We stopped after the time control to try and repair the suspension. I wanted to keep going, but the team asked me to stop. It's frustrating because in the end, the final long stage of the loop was cancelled. We've missed out on a good result." 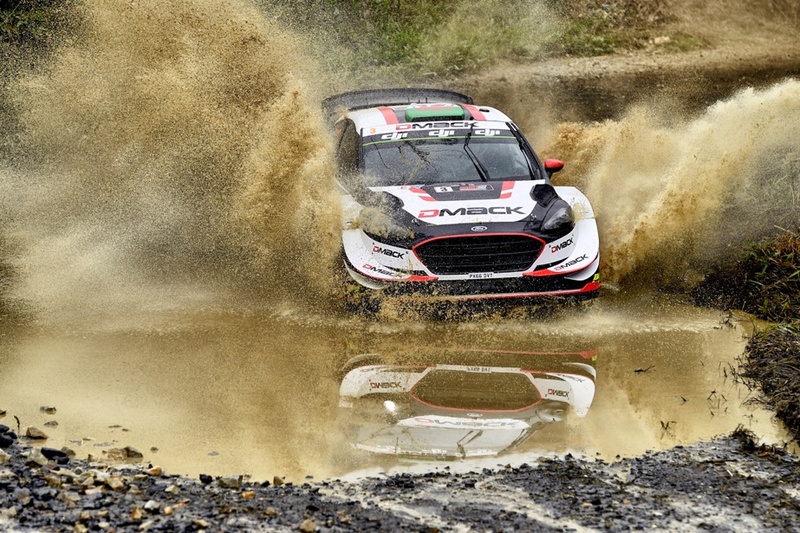 Running on DMACK Tyres, Elfyn Evans knew he would struggle if the sandy Australian stages remained dry. And so it proved but as torrential rain battered the final day’s stages, Evans put in a number of competitive times including the fastest time through Pilbara Reverse (SS17) – securing fifth place and his best ever result at Rally Australia. Jari-Matti Latvala had been in contention for victory on the final day, but his Toyota crashed out on the final live TV Power Stages while Ott Tänak just lost out by 22.5sec and had to settle for second. 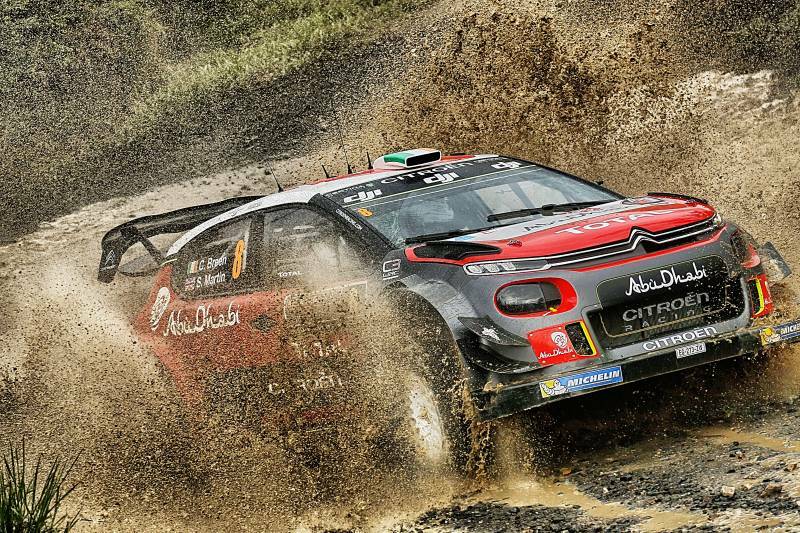 Meeke's team mate also lost out, Craig Breen rolling his Citroën C3 into retirement when on course for his best result of the season, while Sébastien Ogier had to settle for fourth when gearshift problems blighted his Fiesta and a timing error added to his woes with a 60sec penalty.